What can the arts learn from football? A lot about developing a connected culture in which children, amateurs and professionals see clear links and participate/ spectate on every level, Nina Simon wrote recently. The world of football is similar to the arts in many ways: taking part, audiences, celebrity and anonymity, economic and intrinsic benefits/ values, large costly buildings and jumpers for goal posts, health and wellbeing, and more. Oh, and let's not forget finance: public subsidy and big business sponsorship. There's also, at the 'top level', The World Cup and Venice Biennial. Lots of similarities, then. Not all good. What football does well is undoubtedly present a cultural phenomenon that is accessible at every level. A sport where even the premiership elite are, well, not really that elitist. A game where kids playing in a back lane or park and blokes with hangovers kicking each other as much as the ball are respected. 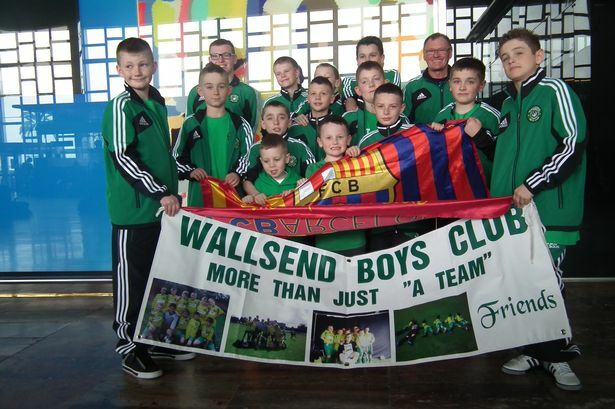 Professionals regularly going into schools for training sessions and awards presentations as well as helping smaller clubs and amateurs fundraise. Football can also be 'viewed' live in world class stadiums or patchy local pitches and watched on TV at home or down the pub. Yes, costs of attending a premiership game are prohibitively high for many people; as is a subscription to Sky Sports. But anyone can take part and you don't hear accusations of amateurism or that's 'not football'. Some may say, 'football is different from art'. Of course, on one level, this is true; yet, on another level, the two activities are similar, essential aspects of our lives. Like football, the arts is engrained into our daily existence - whether 'high' or 'low' arts. They both have tiered, hierarchical structures too. The problem is that elitism in the arts means that people taking part in the arts at different levels are perceived of very differently - from billionaire art buyers to attendees of exclusive theatre to student art shows to people sitting watching Corrie. Artistic excellence is paramount at almost every level for many in the arts. It is the winning, not the taking part, that matters. There is little space for amateurism, volunteering (except as ways to keep wage bills down), or even socially engaged arts practice. These are the realms of 'not arts' to many within the arts elites (for they are plural, legion). Yet, 'amateur' art, art in schools, community art, voluntary art, social practice, etc. offer great experiences and pleasure to many people. The problem is that there is little option for progression (for many) and derision lurks everywhere. The darker side of the arts and football (and many other areas of our contemporary lives) is undoubtedly philanthropy and sponsorship. This is not to say that all giving is bad. It is just a warning of the dangers of ‘tagging-on’ brands to activities for purely commercial gain or, worse still, to deliver marketing messages that directly conflict with the activity being ‘supported’. This will be a topic for another post so, for now, let’s just consider BP’s financial support for Tate and The British Museum or tobacco sponsorship of artist residencies in the Caribbean or investment bank and 2008 financial crash ‘Titan’ Merrill Lynch’s project with Tate aimed at regenerating local areas and making places safer. This type of activity is all about ‘realising corporate responsibility outcomes’ – something Arts and Business are promoting heavily as a means to increase philanthropic giving to the arts at the moment – but it mires the arts in corporate complicity. This is different from professional football’s out-and-out clear marketing-for-money deals, not to mention the often essential small-scale sponsorship of local amateur teams by local small businesses who are happy to support their team in return for a little extra local exposure. However, football sponsorship can be dangerously unethical too. Think about the World Cup 2014 with big corporate sponsors including Budweiser, Coca Cola and MacDonalds. The message: play or watch football - drink alcohol and fizzy drinks and eat unhealthy food. Or Wonga and their shirt sponsorship of Newcastle United – buy your season ticket and pay for it with a thousands of percent loan you might end up never repaying! The danger for the arts is that, not only will the ethical and moral concerns about current big arts sponsors affect the independence and critical essence of the arts, but the drive for philanthropic giving may lead to Wonga sponsoring participatory art projects in ‘disadvantaged’ communities, etc.